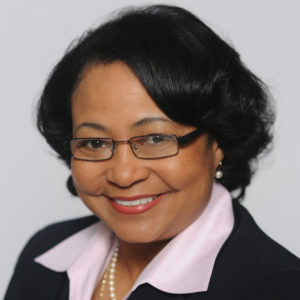 Ms. Gantt is a C-Suite executive with thirty years of banking experience; responsible for developing and implementing strategies to advance the utilization of disadvantaged businesses. Ms. Gantt is a passionate professional, with a national network of resources; and the business acumen to effectively procure resources for the benefit of disadvantage business enterprises. Ms. Gantt serves on the board of the National Association of Minority Contractors (NAMC); and holds credentials from NC State University Department of Civil, Construction and Environmental Engineering – Project Management, the National Development Council of Housing Development and Finance Professionals, and the American Contract Compliance Association from Morgan State University. Ms. Gantt is also the 2017 recipient of the NAMC National Harriet Tubman Excellence in Leadership Award.